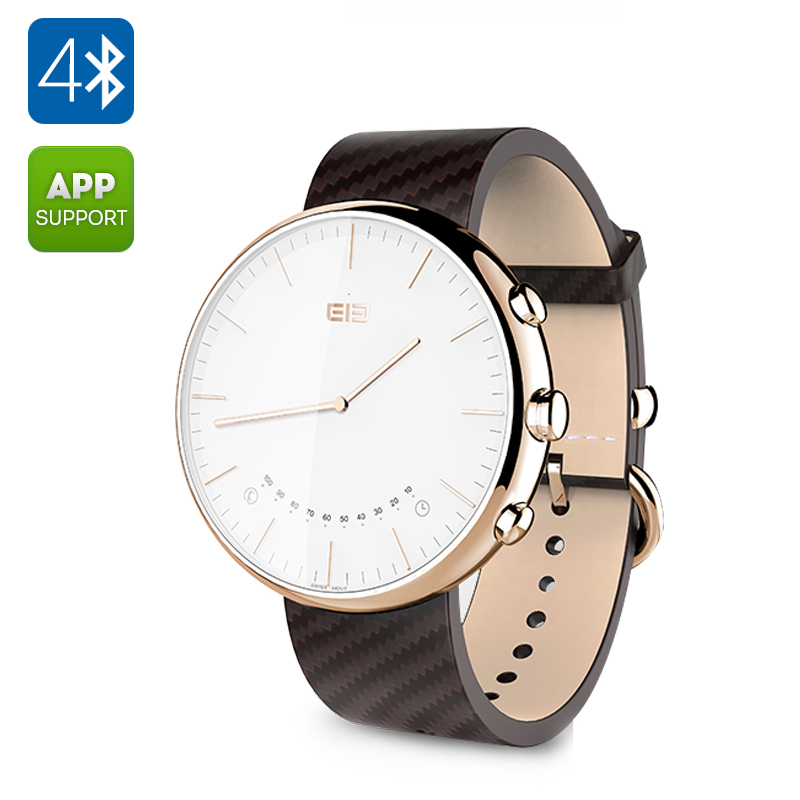 Successfully Added Elephone W2 Smart Watch – Bluetooth 4.0, Free Android App, 30ATM Water Resistant, Sports, Sleep + Sedentary Monitors (Golden) to your Shopping Cart. The Elephone W2 is handy little gadget that can get you on track with your fitness and will add extra functionality to you smartphone. The Elephone W2 is a stylish wrist accessory that comes with lots of useful features. Unlike a typical smart watch, this model comes with a classic look, a round watch face and a true touch of sophistication. Made with sapphire crystal glass and secured in place with an Italian leather strap, the Elephone W2 is in a whole other league of smart wristwear. The smart wearable comes with Bluetooth 4.0 and will ensure quick and efficient communication with all your devices. It also has a free Android app that you can easily pick up at the Play Store and use on your smartphone for even more pairing functionality. The watch can greatly enhance your fitness results. It lets you set and monitor your sports targets, comes with a Sedentary Reminder and Sleep Monitor and more. Meant for an active lifestyle, the watch is waterproof for up to 30ATM. So, you won’t have to take it off when engaging is water sports. The Elephone W2 can also be your remote camera trigger. The built-in 210mAh battery will give you up to 15 days of usage and will quickly recharge in about an hour.